Allen Dutton, the legendary Arizona photographer, has long been considered one of the world’s most innovative fine art photographers. His photographs have been collected by American, European and Japanese museums and private collectors. He was first published in the 1950s and his unique work has long intrigued the serious collector. Dutton has produced four books of photographs. 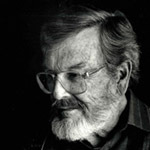 He is perhaps best known by the average Arizona resident for his book, Arizona Then and Now, published in 2000. It quickly became a best selling regional book which paired historic photographs of Arizona with contemporary images taken from the exact locations of the originals. In 2010 Phoenix College dedicated the new Allen A. Dutton Center for Photography, recognizing Dutton for his influential work as Artist and Educator. Allen continues to create, and celebrates his 90th birthday in April 2012. See images from Arizona Then and Now on Google Books. These have been really wonderful. Excellent job Jane Hilton! I really wish they could continue.